How to Automate my Jamberry Facebook Party! I am an independent consultant for Jamberry Nails, a direct sales company who provides high quality, vinyl nail wraps that can last for weeks on fingers and toes. There are no harsh chemicals and they are not polished, so there is no chipping or dry time. Jamberry has over 350 adorable design options to choose from plus a custom Nail Art Studio to create a custom look for you, your organization, or team. One sheet of nail wraps will give you up to 2 manis and 2 pedis! I run my business, from my home and about 90% of my sales are generated through Jamberry Facebook Parties! Sales are processed either through a bulk order that the party hostess and/or guests will message to me or by a direct order using my website (www.ksjams14.jamberrynails.net). My online parties range in product retail value sales from $150 to $900 of which I make a 30% and higher commission and the party hostess earns free and discounted product. I typically have 2-4 parties running at one time with 10-16 posts per day in each party. What is an Online Party? An online party is an event which lasts anywhere from 1-14 days (chosen by the hostess) and can be a regular party or a fundraiser where 10%-30% of the retail value of party sales are donated to an individual or organization. During the party, I post information about Jamberry and its product, pictures, and infographics, plus I offer fun games and prize giveaways. BINGO Jamberry style is always a party favorite and a not so secret reason I signed up to be a consultant….I mean really, who gets PAID to play BINGO on Facebook??? 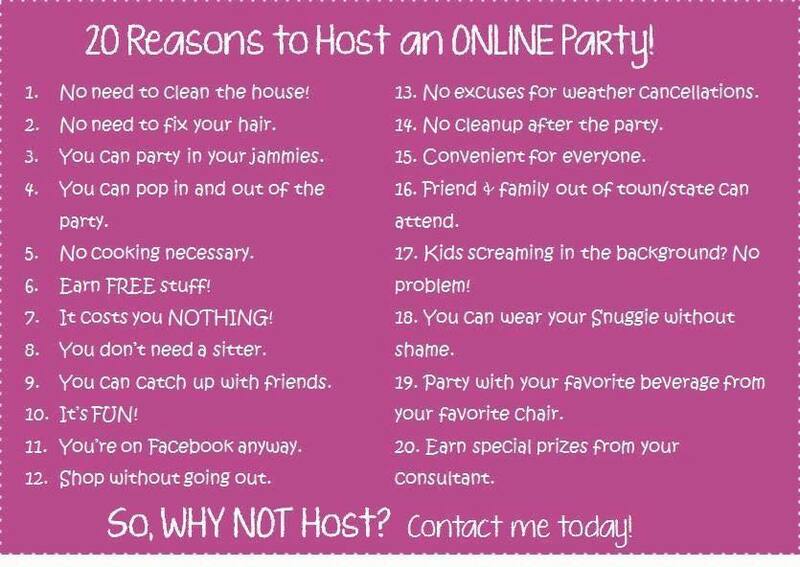 I am based in North Carolina and love that this online party feature widens my customer base. I have had several parties with participants across the United States plus Germany and Malaysia! When I run an online Facebook party, I create a closed Facebook Group (other consultants use events instead of groups but since I have never done this, all information in this article is in reference to using groups). Let me preface next part by saying that as a part of my hostess coaching, the party hostess has messaged her guests. It’s very very important to get the permissions from her guests before adding them to the group. We only want people who WANT to be there, and I know some of my hostesses add more people than can be reasonably expected to attend. After I have set the party up in Facebook Group Manager (created the group name, added a group banner and description), my party hostess will invite up to 50 people that she has private messaged to notify them that she has added them to the group party. I tell them 50 – 75 to keep the chances of being reported for spam lower. In a party with hundreds of guests, it is harder to establish a personal connection and increase guest interaction. This also gives me a lead for future booking by telling my hostess her next party can be for those that were not invited to this one! ? Pro Tip: Let your guests know how to turn off notifications or leave the group, I usually make a post at the beginning of each party. This will reduce your chances of being reported for spam. During the party, we play games (inspired by Disney, movies, tv shows, gameshows and just about anything else you could imagine), give away prizes and post information about Jamberry Nails. The games are designed to give guests an opportunity to browse my website by searching for the wrap designs shown in the game images. It will also give them an idea of how they can pair the different wrap designs for a mix and match or favorite outfit look, which wraps they can purchase from our Mommy & Me collection and match their daughter(s)…you get my drift! The posts about Jamberry include information to educate party guests about Jamberry products. Post information from general information about the benefits of our wraps and the variety of ways they can be customized to your personal style with our monthly StyleBox subscription to specific products like Jamberry Juniors, geared for children, our Indulgence hand care set and Beauty Boost – A Biotin infused vitamin to encourage healthy hair and nail growth. I also post application tips for our products each day to show guests how easy our product is to use. These include tips and tricks for just about every situation they could encounter! During the party I will share with guests company buying incentives, (free shipping on certain $ amount orders and Buy 3 Get 1 free) plus I give out samples of my product and award prizes for participation and winning games. Pro Tip: Avoid tagging people in images. Tag in comments only. If FB sees an image without a person in it has been tagged as a person, they flag it as spam. Pro Tip 2: Make sure you are not posting your web address numerous times. If you put always the same link in multiple texts, Facebook may see this as spam. After my party is over I post a winner for our Grand Prize giveaway. At the beginning of the party, I let guests know they will have chances to earn points for the duration of the party. If the party reaches $150 in sales I give away a full sheet of Jamberry wraps. If sales are not that high I might give something smaller like a sheet of 5 accent nails, but I like to give away a big prize for this giveaway so people don’t feel like they are playing for something they could buy just anywhere. I want my guests to feel special! I can’t tell you how excited guests get when they win. Nine out of ten times they will say that they never win anything. At the beginning of the party, I let guests know they will have chances to earn points for the duration of the party. If the party reaches $150 in sales I give away a full sheet of Jamberry wraps. If sales are not that high I might give something smaller like a sheet of 5 accent nails, but I like to give away a big prize for this giveaway so people don’t feel like they are playing for something they could buy just anywhere. I want my guests to feel special! I can’t tell you how excited guests get when they win. Nine out of ten times they will say that they never win anything. I can’t tell you how excited guests get when they win. Nine out of ten times they will say that they never win anything. My winners usually go on to book their own party and a few have signed up to become Jamberry Consultants. It ends up being a very little cost for the giveaways, potential parties, and team members. At the end of the Jamberry party, I also post the rewards my hostess earned from party sales. Sometimes this will include a kit credit towards the fee to sign up as a Jamberry Consultant so I will let them know that, then I list the free products, products chosen with the product credit that was earned and the discounted products the hostess chose with her hostess rewards. I then remind the guests that it is not too late for them to book their own party and earn “Jamazing” rewards as well! With a Jamberry party, depending on the total sales of the party, the hostess can earn free product, product credit, exclusive Jamberry wraps only available to hostesses, free shipping for up to six months, half off items and up to a 30% discount on Jamberry products. How do I Manage my Online Facebook Parties? To manage my online Facebook Parties I use Postcron. Postcron is an essential lifesaving, timesaving tool in managing my online parties! As a wife and busy mom of two young children, I don’t have time to do these posts individually. Remember, I typically have four parties running at one time with up to sixteen posts per day per group! 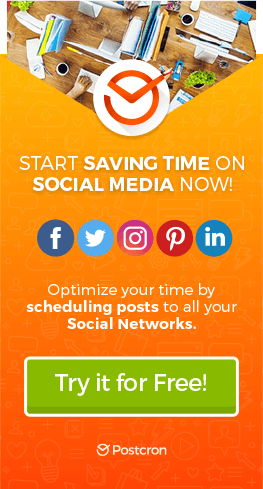 Postcron is a web-based social media scheduling tool that allows me to upload the text, graphic and/or web link that I want to post in a specific Facebook group at a specific date and time for the duration of my party. Next, I use the Bulk Upload option (don’t worry I’ll tell you exactly how I use it in just a minute), a feature that allows me to schedule my parties from start to finish. I subscribed to the Pro Account so I have unlimited pending posts, with 18 posts per day per group. Just a note about subscribing with a Pro account or higher, you can add the members of your downline/team and they have the exact same privileges you do…a great way to help lower the cost for each individual. The Bulk Upload feature is a smart, time-saving way for me to run my parties smoothly and allow more time for interaction and responding to comments by party guests. Knowing my information/game posts will be taken care of allows me the freedom to find more ways to make the guest experience better. Using this method for my parties, I hardly ever have to search out leads as I always get at least 3-4 requests from guests per party to host their own! Here’s how I use the Bulk Upload Feature – Step by Step! I have a basic script I use for each online party. This basic script includes pre-party information that gives the basics about Jamberry, how much it costs, how to apply, etc, followed by my four information posts for each day and a few graphics to make things fun! followed by my four information posts for each day and a few graphics to make things fun! Now I choose (or let my hostess choose) games her guests would like to play over the course of our party. For instance, everyone loves Disney inspired games but not everyone would know the answers to a Walking Dead, Dr. Who or Hunger Games inspired game. #1 of 10 Which Wrap Goes Best? Comment the name of the Disney Princess you think this look is inspired by! Once I have the games picked out for the duration of the party, I am ready to add everything to the spreadsheet. Post text, year, month, day, hour, minute, photo link, and website link. I save this spreadsheet as a .csv file, go to the Postcron web app, select the group(s) I want the post to appear in, click the “upload multiple posts at once” button, wait for it to load, click confirm and BOOM my parties are ready to go! At Jamberry, great customer service is our focus! Postcron allows me to focus on each party guest, creating an online experience that is fun and interactive…which in turn earns sales for the party (which means a higher commission for me 🙂 ) and my hostess gets some awesome rewards. I love that Postcron is web based and have a mobile app and some other really cool features. Since my business is online, Postcron allows me to focus on my family and still do what I need to do to keep things in my parties running successfully. The team feature in the Pro and above accounts, as I mentioned earlier, enables me to add my downline and help them grow their business thus helping me grow mine (I receive a commission percentage of their sales). If you have questions specific to using Postcron with your Jamberry business there is a Facebook group just for Jamberry! Check it out here. [Note from the editor] This is a list of useful resources that we are going to add over time to help you to get the most from Postcron for your online Facebook Parties. And remember, if you liked the article and want to share it with your team members and friends, feel free to do it!